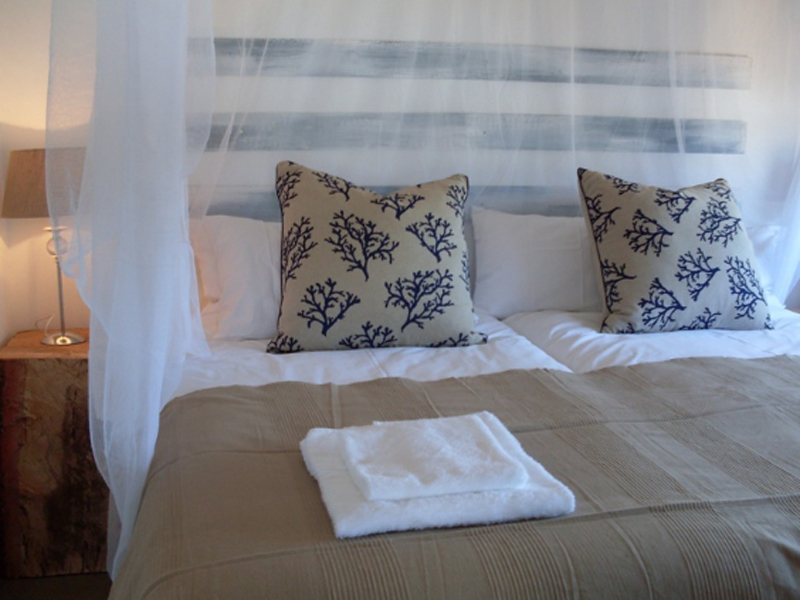 Ranked #1 of 10 specialty lodging in Bilene, Tenda Tora is an upmarket self-catering holiday accommodation set on the banks of the Bilene Lagoon. This lodge embraces all sorts of travelers, from large groups, families, corporate travelers to couples and lone guests. “Family of 5 from Norway stayed at Tenda Tora for New Years’ 2016. The location was nice, and a bit off the busy downtown Bilene and beach. Ideal for New Years’ eve with great view for fireworks.The restaurant was great and Rory and his crew were really friendly and accommodating. We are happy to recommend it to families with children – and all others!” Aleta-Jo from Norway took her time to post this review on Tripadvisor. Depending on the size of your group, you can choose from three of the 3 bedroomed chalets, eight of the 2 bedroomed chalets or the 1 bedroom chalet, all aesthetically appointed and featuring plunge pools, DSTV, braai areas and 24 hour security. Each comes with a fully-equipped kitchen with fridge, stove, microwave, toaster, kettle as well as crockery and cutlery. The establishment uses municipal electricity and drinkable water is from the borehole. There is a restaurant for those who wish to indulge in the culinary delights crafted by an expert chef. Check out the candid photos and detailed feedback on what clients have to say on tripadvisor before you embark on a holiday of a lifetime to Tenda Tora, Bilene. Book your holiday with us for affordable, value for money deals and packages today.